Neat boxing Swansea super-fly Jay Harris has finally added the firepower that he believes will see him replicate dad Peter as a British champion. The 25 year old Jack was extended to the cards in his first three paid gigs as he acclimatized to the profession but has since wasted his last four victims ahead of schedule…..with two suffering the full ten toll. ‘I guess I must’ve just caught them with the right punches,’ says the humble but amiable former British amateur champion who squares off with Afghan-born Hayes banger Ramash Ahmadi over six rounds on the mammoth world championship bill at Cardiff Ice Arena on July 16th. 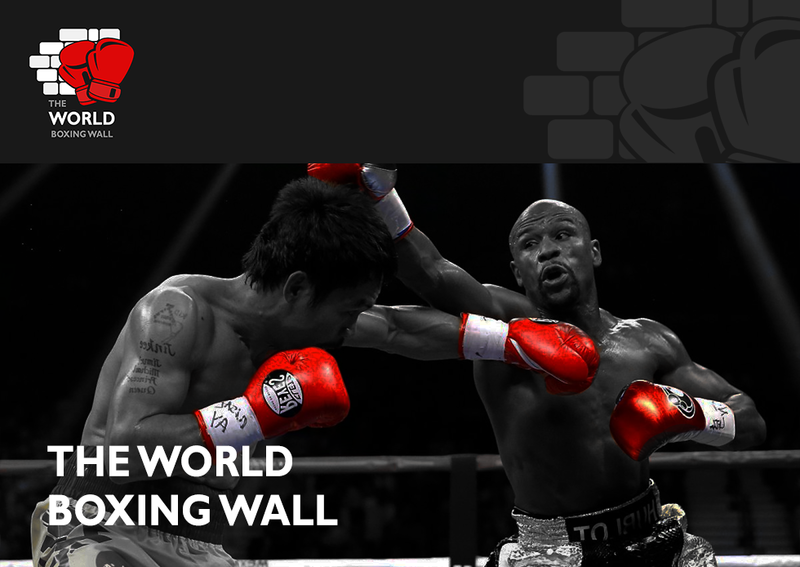 ‘It’s mostly body shots, left hooks underneath, something my dad was also good at. We’re working hard in the gym on landing correctly and I’ve also matured a bit physically over the past 18 months. It’s finally all falling into place. If his current rich vein of form is any indicator, it shouldn’t be too long before the 5ft 5in Gary Lockett managed minnow enters the championship mix in Britain’s buoyant 115lb weight class. ‘Even if Paul Butler moves back up to bantam, the domestic super-fly division is suddenly looking very good and I’m anxious to become part of it,’ insists Harris who moonlights as a fork lift truck driver. ‘There’s some very talented boys fighting here such as Kal Yafai, Jamie Conlan, Anthony Nelson and Zolani Tete and the division is now attracted the publicity it never got before. ‘In fact, the recent fight between Conlan and Nelson is probably the best fight of the season at any weight. I went out to spar Jamie in Marbella recently; very tough boy, excellent body puncher but I’d love to fight him for his Commonwealth belt down the line. Through no fault of his own, this highly dedicated prospect has been limited to just seven starts (all wins) since entering the profession back in July 2013 and the showdown with Ahmadi represents his first outing of 2016. ‘I’ve been out nearly seven months now which is frustrating but I’ve kept myself in the gym and stayed fit just in case a job was offered a short notice. I only ever take two weeks off after a fight to celebrate,’ he explains. Instead, the Swansea City fan hones his craft in his home town under the critical gaze of father-coach Peter, a former British featherweight champion who faced five world champions in a meritous 33 fight pro career between 1983-96. Post war, the Principality’s second city has produced a plethora of quality prizefighters such as the Curvis brothers (Brian and Cliff), Colin Jones, Floyd Havard and Enzo Maccarinelli. 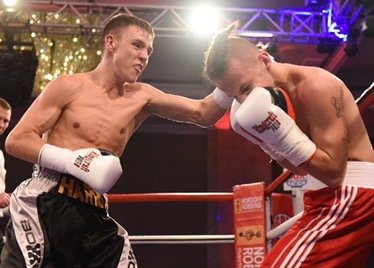 Nevertheless, Harris’ salivating six rounder with Ahmadi serves as only his second scrap in Wales – following his debut in Newport three years back – and he can’t wait to showcase his wares before the knowledgeable Welsh fight fraternity. ‘A lot of people have been pestering about when I’d be fighting closer to home so, for once, I’ve been able to sell a few tickets. I can’t wait to show what I can do to the Welsh fans,’ he concludes. ‘I’ve seen little bits of Ramesh on You Tube. He looks a very game opponent and, cos he’s unbeaten himself, he’ll be coming to win. He possesses a very powerful right hand but seems a bit wild so I think I should be okay. Former world middleweight champion Gary Lockett who has managed Harris from the dawn of his pro career adds: ‘Jay’s a quality counter puncher who’s getting more mature with each fight. Though he’s naturally a very nice natured boy he’s becoming more nasty on fight night. He’s got a very spiteful left hook to the body. ‘We send him out everywhere sparring and the feedback every time is that he’s a really good kid so I know he’s not too far away. But he’s got a very tough fight on July 16th against another unbeaten kid who’s rumoured to be a pretty dangerous puncher himself. It’s a genuine 50-50 scrap that’ll tell us exactly where Jay is. It’s a fight he’s got to win, simple as that.